*This is a sponsored post by House Foods, but this recipe is my own. Leaner Tip: Substitute vermacelli noodles with shirataki noodles to reduce recipe by ~200 calories per 8 oz. Fill a large plate (9″ in diameter) with hot water. Soak one rice paper sheet in the water for about 15-30 sec until it becomes soft and more translucent. And place this on a flat surface (cutting board, plate, etc). Repeat step 2 and place the second sheet on top of the 1st. This will prevent your roll from breaking easily with stuffing it with your ingredients. 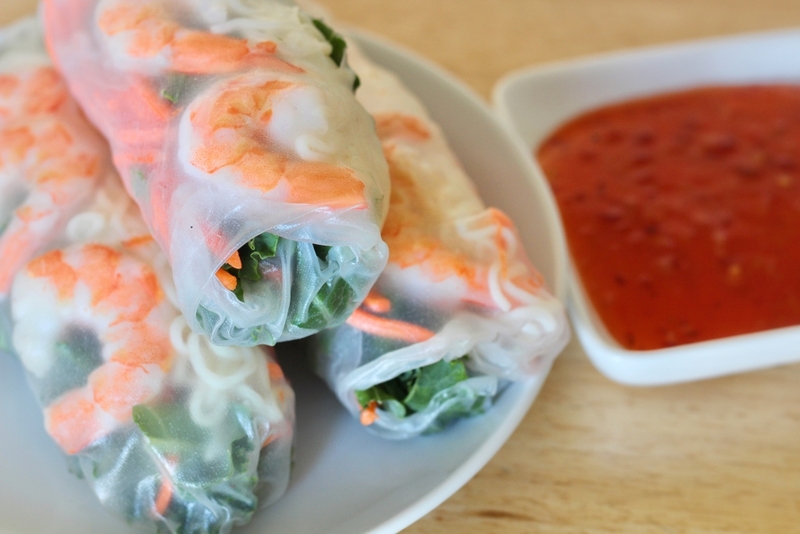 Line up the shirataki noodles (2 oz), kale (1/3 cup), carrots (1/3 cup), and shrimp (3 pieces) in vertical lines next to each other on the rice paper sheet. I would recommend placing these ingredients closer to the left or right side of the wrap to make it easier to roll the ingredients together. Gently fold the top and bottom sections of the circle so it overlaps onto the ingredients. 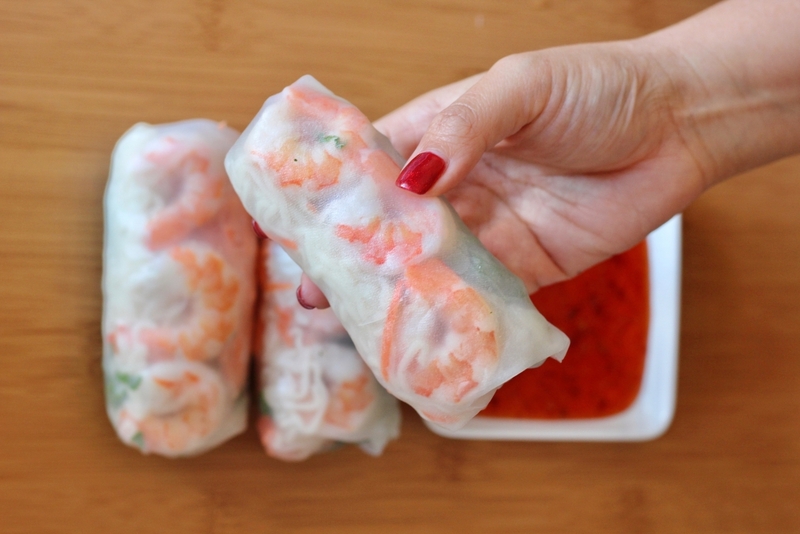 Carefully roll the rice paper with the veggies, shrimp, and noodles until it looks like a cylinder shape. Repeat steps to create additional rolls. Enjoy!